Former Fusion GPS contractor Nellie Ohr told Congress in October that she “favored” Hillary Clinton over Donald Trump during the 2016 presidential election. 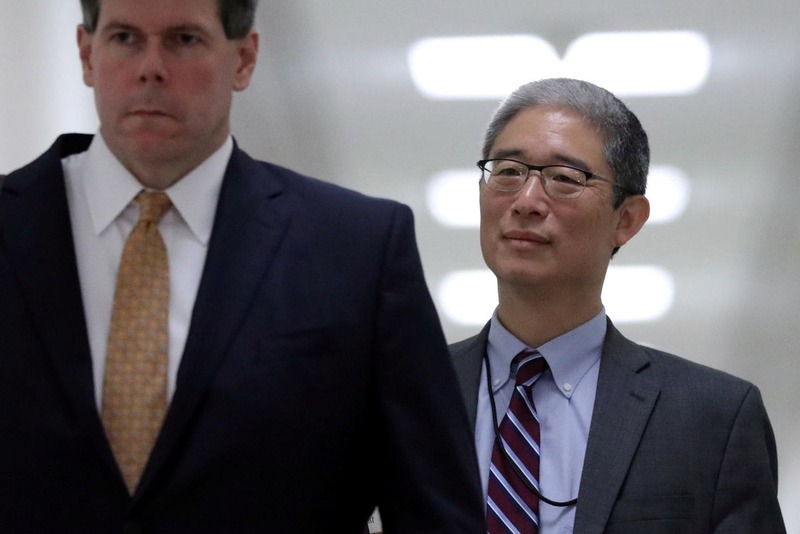 A transcript of Ohr’s testimony was published Thursday. Nellie Ohr, whose husband is DOJ official Bruce Ohr, detailed her work for Fusion GPS, the opposition research firm that commissioned the Steele dossier. Nellie Ohr said that a Ukrainian lawmaker was one of Fusion GPS’s sources. “I would probably have been less comfortable doing opposition research that would have gone against Hillary Clinton,” Nellie Ohr told a congressional task force on Oct. 19, according to a transcript released Thursday. “And why is that?” a congressional staffer asked Nellie Ohr. “Because I favored Hillary Clinton as a presidential candidate,” said Nellie Ohr. She gave research she did on Trump and his associates to her husband, Bruce Ohr, in hopes that he would provide it to the FBI. One of the more startling revelations in Nellie Ohr’s testimony is that a Ukrainian politician was a source for Fusion GPS. As TheDCNF first reported, Nellie Ohr testified that Serhiy Leshchenko, a former investigative journalist turned lawmaker, provided information to Fusion GPS. Nellie Ohr said that she worked for Fusion GPS from October 2015 through September 2016, earning $55 per hour for an average of 30 hours of work a week. She said that she conducted open source research of various Russian businessmen. She also researched Trump associates, including Manafort, Page, Michael Flynn, and Donald Trump’s children. Nellie Ohr was pressed about her discussions with her husband regarding her work for Fusion GPS, but she largely escaped those questions by invoking marital privilege. She worked on one other project for Fusion GPS, and was aware of the firm’s work with Natalia Veselnitskaya, the Russian attorney who attended the now-infamous meeting at Trump Tower in June 2016. Nellie Ohr testified that while her research for Fusion did not appear to have made its way into the dossier, she recognized some of her work in the media.